From taking a break as a fashion PR in Beijing to transitioning into a full-time yoga teacher, Victor began the path of a yogi when he dedicated himself to a month of teacher training in India eight years ago. It wasn't long until he decided to quit his job and move back to Hong Kong to settle into his yoga career. You can find Victor attending and teaching at seminars around the world, including this year's IRIS festival. Originally from Boston, James began his yoga journey when he was 20, working part-time at a yoga studio for a chance to attend their classes. It wasn't long before he became a yoga teacher at the studio which kick-started his travel-filled career. His Instagram showcases his practice through images and videos featuring different cities as backdrops. You can attend James' classes, which range from Hatha to Hot Yoga and Vinyasa, at Pure Yoga. With a bachelor's degree in Yogic Science, Samrat is a certified yoga therapist and has won numerous yoga championship titles. Having started his first teacher training course in India, Samrat is now based in Hong Kong as a senior yoga teacher at Pure Yoga. He also holds inspiring international workshops around the world. An Australian yoga teacher who's now based in Hong Kong, Adam is the founder of Yoga Union, a yoga space in Central, where you can find him teaching private or small classes focusing on Vinyasa and Hatha yoga. 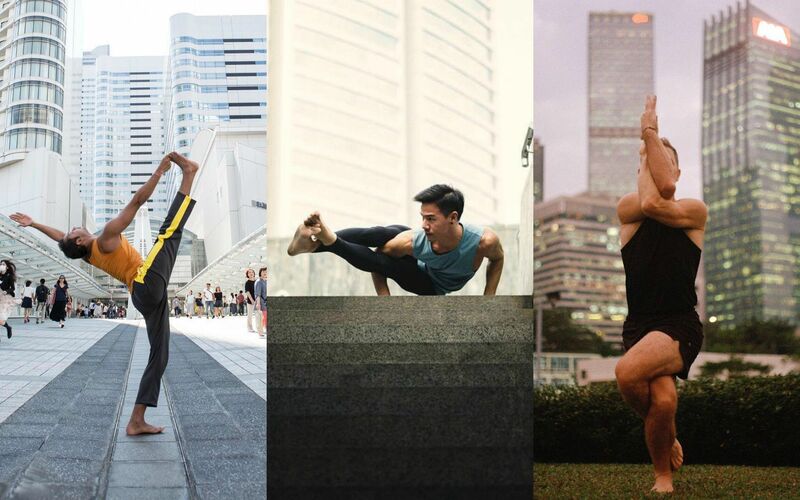 He also founded Friday Night Lights, which brings Hong Kong's yoga community together for a weekly free yoga session. One of Asia's most well-known yoga teachers, Patrick has been passing on his knowledge since Pure Yoga's opening in 2002. As one of the founding teachers, he has taught over thousands of students and trained many others globally. Whether you're a beginner or a well-versed yogi, Patrick's Vinyasa and Iyengar style flow classes are designed to help everyone to reach their potential. Malbert has been practising yoga for over 10 years. Now, not only is he a certified yoga teacher but he's also trained in sound meditation and healing, often incorporating gongs and singing bowls into his lessons. If you're interested in attending one of his workshops, you can find him at this year's IRIS festival. Before yoga was introduced into his life, Joakim was a school teacher, dedicated elite European style handball goalkeeper, acclaimed indoor cycling instructor and a former house DJ. Now as a freelance yoga teacher, he often incorporates different skills and elements he's picked up in his many careers. You will also find him teaching Dharma Yoga at this year's IRIS festival. Ever since Will's first encounter with yoga in 2008, he has been dedicated to deepening his practice. He took a break from his career to undertake a teacher training course and now teaches at Pure Yoga. Placing focus on building a strong foundation and proper alignment, Will's classes are perfect for those who are looking to commit to their yoga practice. Basically born into the practice of yoga, Dilip grew up in India surrounded with a family of yogic culture and martial arts. Holding a Master degree in yoga therapy, he is a certified massage therapist and Pranic healer, based in Hong Kong. From Hatha Yoga to Vinyasa Flow and Yoga Core Flow, you can attend his classes at Flex Studio. Having been introduced to yoga since he was 14, Dylan has a long extensive history with the practice. Since moving to Asia, Dylan's training continued in India and it wasn't long before he became a certified teacher. Although he is currently based in Hong Kong, he is always on the move holding workshops in almost every corner of the world from South Africa to Czech Republic and Sweden. James is an avid food and lifestyle blogger and yoga lover. Although he is not a certified teacher, his feed provides plenty of visual inspiration for aspiring yogis. His posts often include tips on how to improve and perfect a pose, as well as how they make him feel. James is engaging and his channel is most fitted for those that need a push to start their yoga journey.